First things first, I really can’t take much credit for this photo. Sure I lit it and pressed the button, but it was 100% a team effort. Colleen Anne is a talented hair stylist who helped create the look, and Breanna Gittell is a fantastic model. With this much talent working together it’s hard to take a bad picture. Lesson Learned: Surround yourself with talented people. Your photos will be better because of it. I was hired to shoot some interior and exterior photos of a really ugly up and coming property just up the road from National Harbor. Suffice to say I was none too excited, but at least it was a chance to make a buck. The shot list also called for “pictures of the surrounding area” which I interpreted loosely as the National Harbor waterfront. You see, I had recently discovered a small stretch of land with a great, unique view of the harbor, and this was my opportunity not only to shoot it but to get paid for it. In other words I turned a crappy assignment into one I was actually looking forward to. Lesson #1 Always look for opportunities to expand your portfolio and shoot what you want. On my way back from a shoot in Baltiless yesterday I saw the lights of a carnival and thought, “That would be fun to shoot…” so I turned around, grabbed my camera, and seized the day. 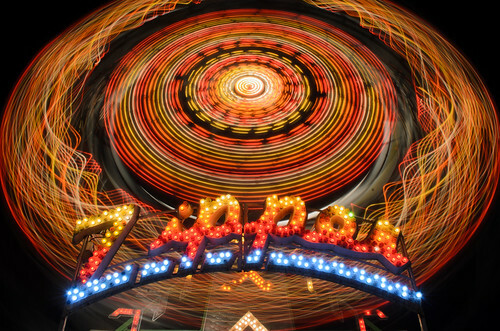 Carnivals are a great place to play with long exposures. Bring a tripod, set the camera on Shutter priority, and start clicking. The title of this drawing is a direct quote from the book “Think and Grow Rich.” It speaks to the human potential, and it struck a chord with me when I first read it. My imagination took off running, and this is where it led me. 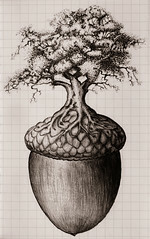 Drawn with a ballpoint pen in a pocket Moleskine notebook. 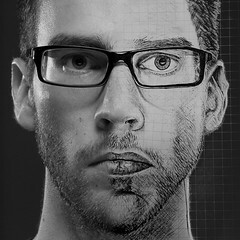 Years ago (about nine, in fact) I wrote down this idea of doing a self portrait that was half photo and half sketch. After so many years of excuses like “I’m not inspired right now,” and “I’ll do it when I have more time,” I pretty much forgot about it altogether. It wasn’t until I was nearly done with this drawing that it occurred to me I was already halfway there. Sometimes you just have to do the work and let the inspiration catch up.